Suppose you want to draw a Spirograph pattern using both rings. How would you change the ring so that everything still lines up, and you don’t lose the center and the symmetry? This was a question from Michaela Fredrich in Germany. I answered that I didn’t know an easy way to do it, but wondered about using erasable pencil guidelines. Here is what she came up with. Measure the outer diameters of the rings and divide by half. 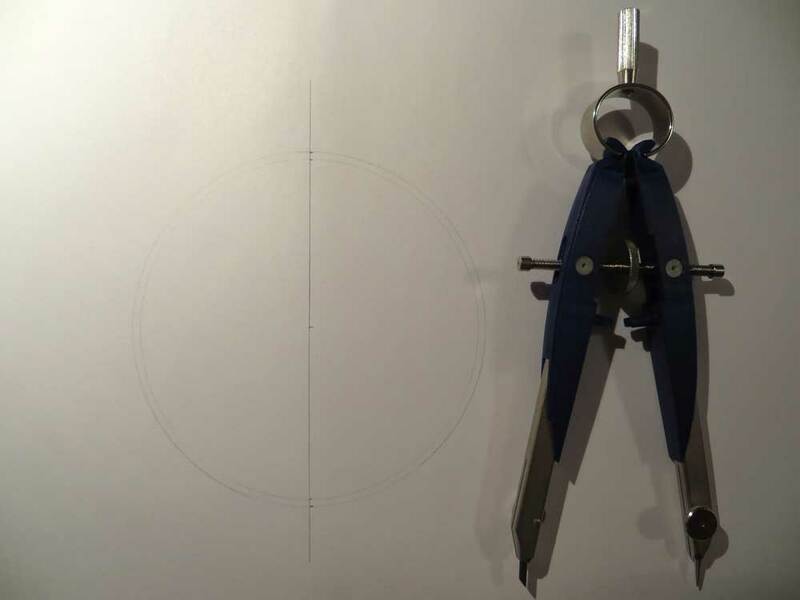 Use a compass to draw a circle for each, with the center point on a vertical pencil line. Be sure to mark the paper lightly with pencil so you can erase the lines later. 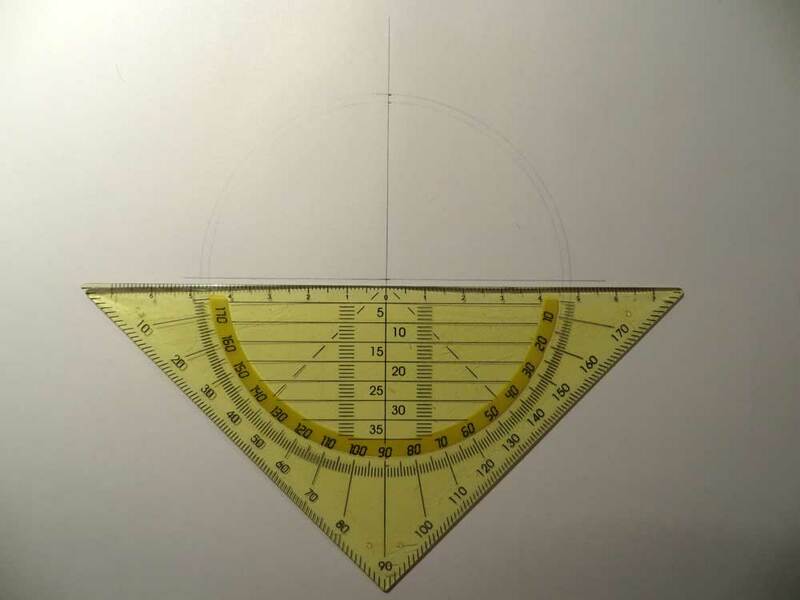 Draw a horizontal line through the center point at a 90 degree angle to the vertical line, using a protractor. The 144/96 wheel with lines marked in red at 3, 6, 9 and 12 o’clock. This is an old Denys Fisher set, with pinholes spaced 90 degrees apart. They could also provide an indicator for alignment. Or you could use the ring’s positioning lines, as there are 12 of them on this ring. Draw the pattern with the first ring. The 150/105 ring is harder to position over the pencil lines, as the number of positioning lines (15) cannot be divided by 4. Michaela has drawn red lines on the 150/105 ring at 90 degree intervals. Alternatively, if your set has pinholes, you can line them up with the intersecting guidelines. Draw a pattern with the second ring. Now you’ll see how well you have done. This looks pretty good. When you’re finished, erase the pencil lines. 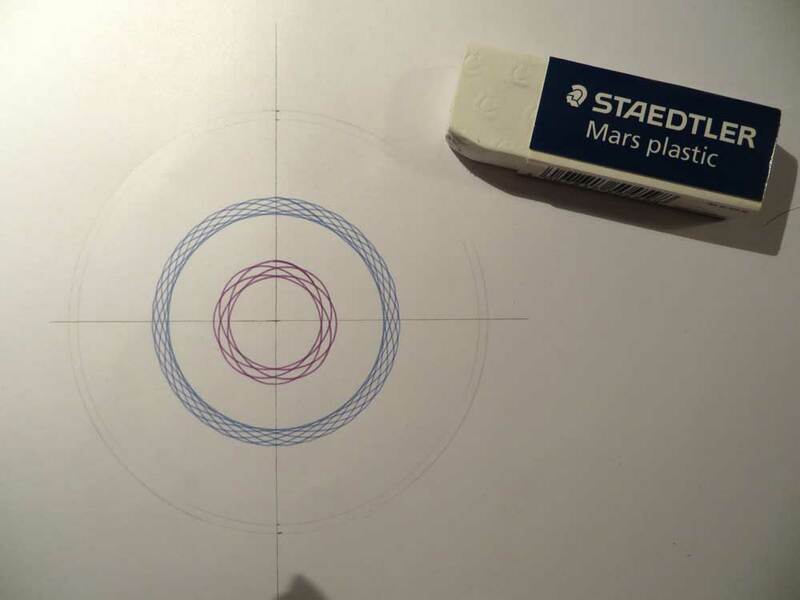 There isn’t a really easy way to draw a design using both rings, but this technique should help you get better results. Your success will depend on how carefully and precisely you work. Before the days of computer aided design (CAD) and drawing programs, accurate technical drawing was a very important skill to have. This challenge presents an opportunity to develop analog drawing skills. If you have any refinements to suggest, please add them in the comments below. Thanks to Michaela for the effort she made into developing the idea and taking photos! 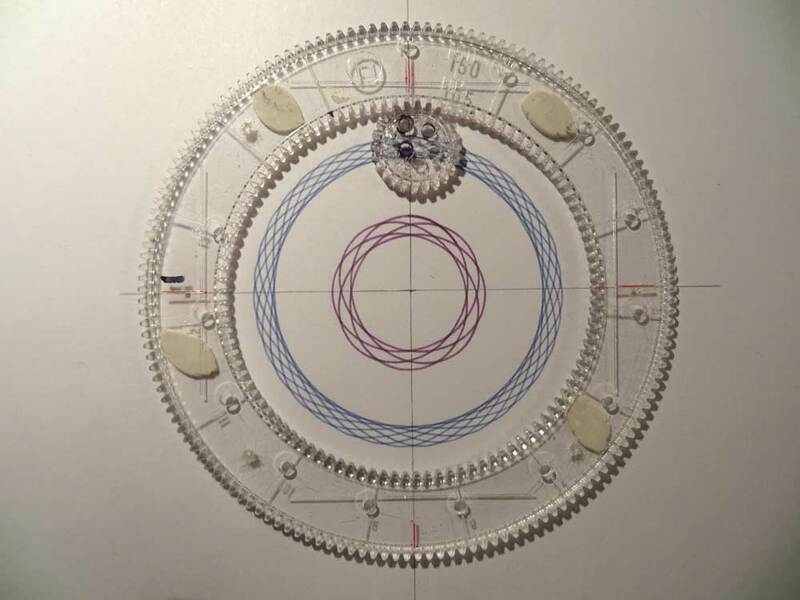 I often have this problem when using the Spirograph Cyclex tool. Using designs from different templates can frequently result in off-centred designs. I wish there was a way round this. 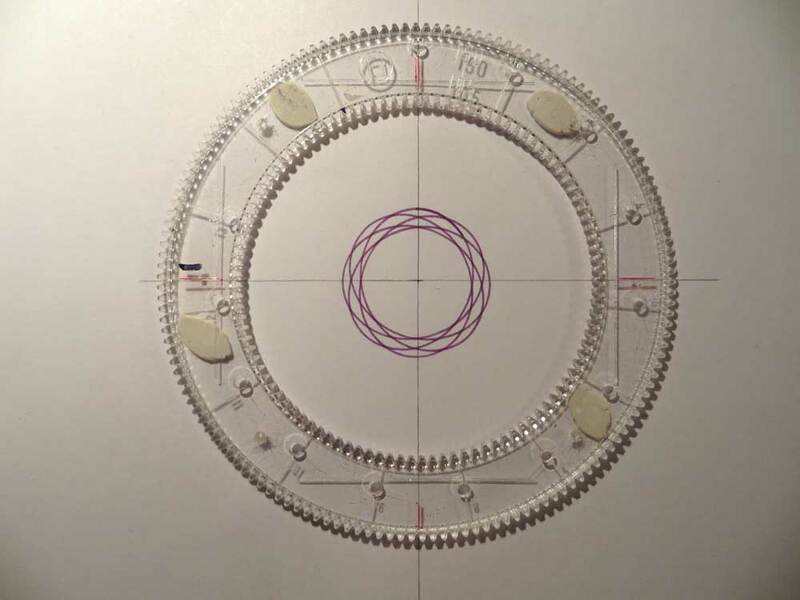 On the old spirographs, you can line up the pin holes on the wheels to draw designs that are aligned. OMG you are right! 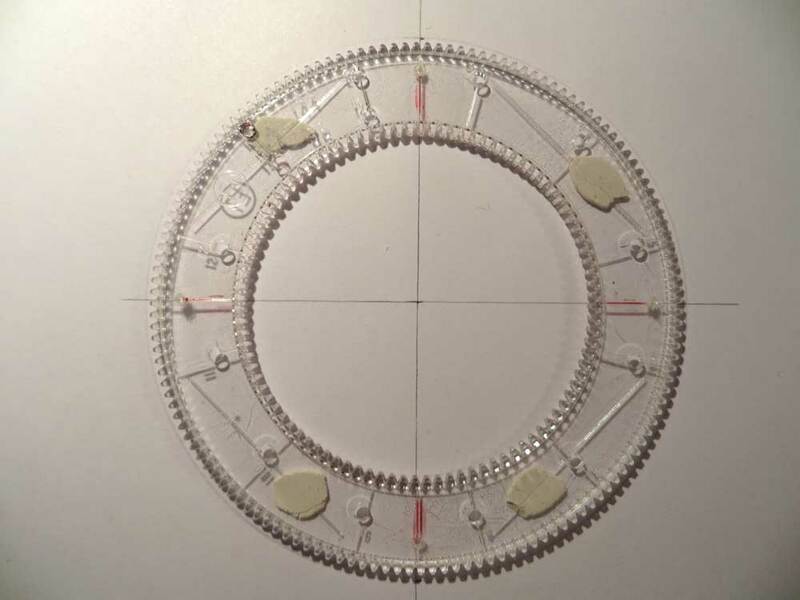 I just checked this out on my old Super Spirograph and yes, although the wheels are slightly different sizes, the pinholes DO line up precisely. So much easier! Thank you. The classic rings have four long lines on them in order to centre the ring perfectly in a square 7,5 cm x 7,5 cm. Those lines are equally spaced on both the rings. 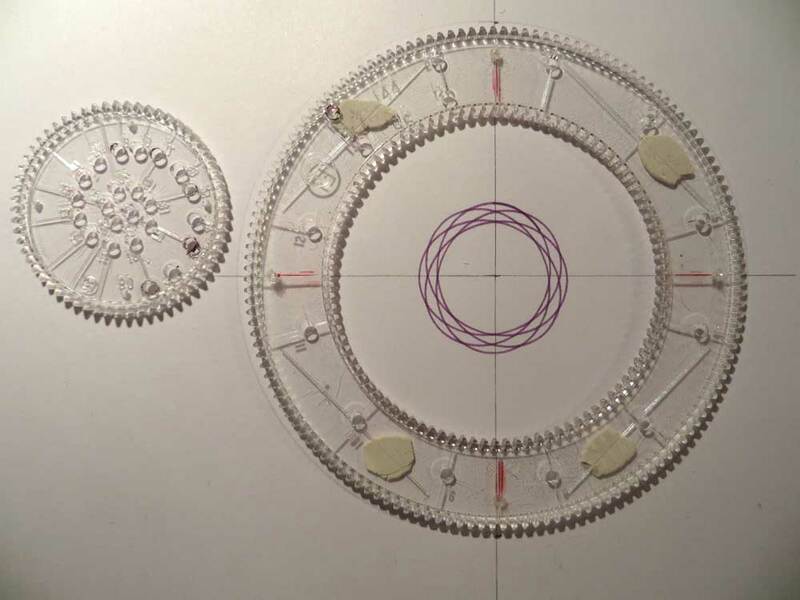 The older Spirograph sets had sheets with 12 of those squares for you to assemble your favourite designs.